Touring caravan insurance is vital as the number of caravans on the road increases. As early signs show that people are choosing to save money as stay in the UK for their holiday this year, caravan manufacturers are showing an increase in sales. Swift, one of the most recognised names in the caravan industry, increased sales by 12% at the 2009 shows they’ve attended so far. Touring caravan insurance is essential for every new caravan owner. Busier roads – if a greater number of people are choosing to stay in the UK this year, the roads will be busier – especially at peak times like school summer holidays and bank holiday weekends. Whilst you might think this means slower traffic and a safer journey, it could actually increase your risk of being in a traffic accident. New caravan owners may not be used to towing, and we all know that queuing can make us impatient drivers. Instead of hoping for the best, buy touring caravan insurance that gives you good quality cover for accidents so that you can travel with a clear conscience. Theft – caravans are often targets for opportunistic theft. Touring caravan insurance can cover you for the contents of your caravan, as well as for any damage done to the caravan itself. Whilst you should take all precautions to prevent theft, such as storing valuable possessions out of sight and making sure your caravan is always locked securely, it’s wise to have touring caravan insurance in place, so your holiday isn’t spoiled. 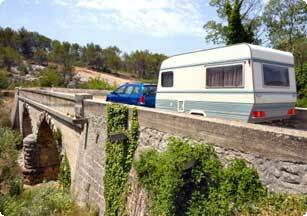 General mishaps – when you buy your touring caravan insurance, you need to check the general coverage. If you’re a first-time caravan owner, the workings of the caravan will be new to you. Problems with the towing mechanism, the kitchen facilities and the water and electricity supply may be covered in certain circumstances, allowing you to repair or replace where necessary. Find the caravan insurance policy that's best for you at InsuranceforCaravans.co.uk. With a range of financial promotions for firms who provide Touring Caravan Insurance, simply visit our advertisers websites to find out what each insurance policy covers and you are bound to find a product that suits you. Don’t take any chances with the safety of your caravan – try insuranceforcaravans.co.uk today.